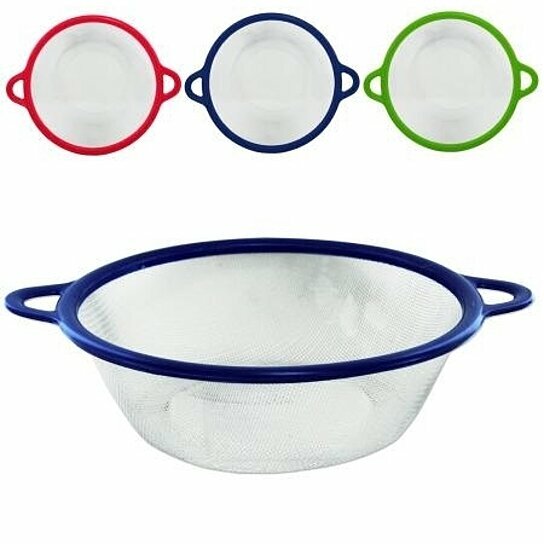 Drain pasta, sift flour and clean fruits and vegetables with this Round Metal Mesh Strainer featuring a round shape with a colored plastic edge. Strainer has handles for easy use. Measures approximately 10" wide; 12 1/2" with handles included. Comes in assorted colors. Comes packaged with a hang tag.